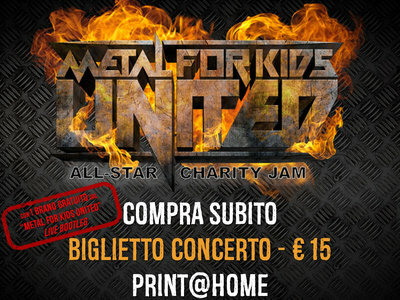 | ITA |: Acquista il biglietto del prossimo Metal For Kids. United! che si terrà al Crossroads Live Club di Roma il 25/05/2019. IN DONAZIONE A FAVORE DELLA "ASSOCIAZIONE PETER PAN ONLUS"!!! Ticket price: € 15,00 + € 1,50 commission fee per ticket. NEW: IF YOU CAN'T ATTEND THE SHOW, WE CAN DONATE THE VALUE OF THE TICKET TO "PETER PAN ONLUS"!!! 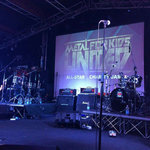 Includes unlimited streaming of Edu Falaschi | Fabio Lione - NOVA ERA - Live @Metal For Kids. United! 2016 via the free Bandcamp app, plus high-quality download in MP3, FLAC and more. OFFICIAL BEER "FIRE & ICE" Limited Edition. Metal For Kids. United! 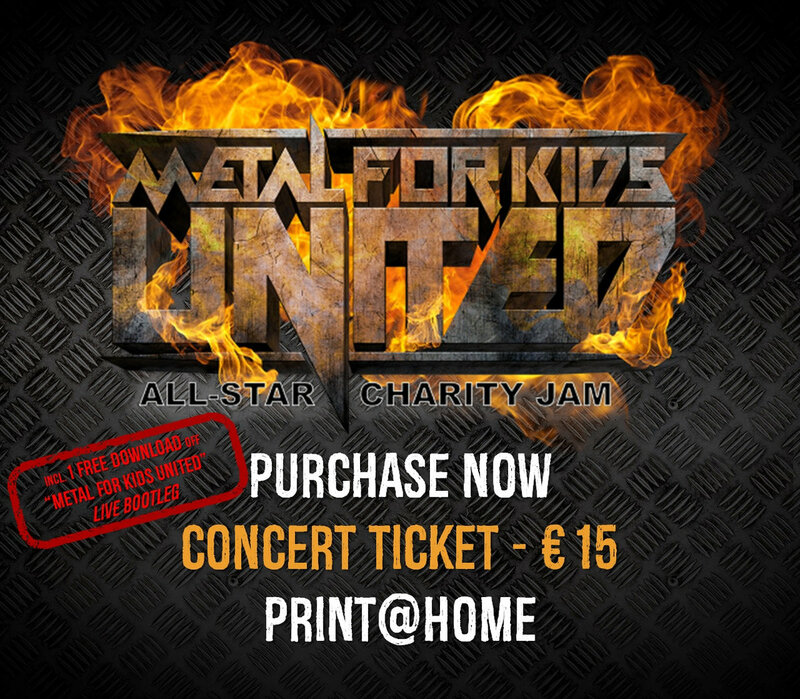 All-Star Charity Jam is a musical format created in 2016 with the aim of supporting and helping children in any state of need, through solidarity initiatives in which artists of the national and international Metal scene are called to arms. Metal For Kids. United! wishes to promote Heavy Metal as a healthy bearer of positive messages and solidarity.